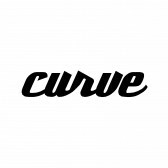 Curve Gallery is an independent contemporary art space featuring diverse solo and group exhibitions. Focused on providing a supportive professional gallery space, we curate exhibitions that enhance the audience gallery experience and showcase work that is contemporary and challenging.Established in Liverpool, UK (2007) Curve Gallery quickly became a focal point in Liverpool’s art scene, exhibiting diverse work from both local and international artists. After participating in the Liverpool Biennial from 2008 to 2012, Curve Gallery then relocated to Newcastle Australia. Located in the East End Cultural precinct of Newcastle CBD, Curve plays a central role in the city’s cultural landscape with strong ties to the local scene whilst also maintaining strong links and a keen awareness of developments internationally in contemporary art and design.